Paris, 1980. The literary critic Roland Barthes dies–struck by a laundry van–after lunch with the presidential candidate Francois Mitterand. The world of letters mourns a tragic accident. But what if it wasn’t an accident at all? What if Barthes was . . . murdered? A brilliantly erudite comedy with more than a dash of The Da Vinci Code–The Seventh Function of Language takes us from the cafes of Saint-Germain to the corridors of Cornell University, and into the duels and orgies of the Logos Club, a secret philosophical society that dates to the Roman Empire. 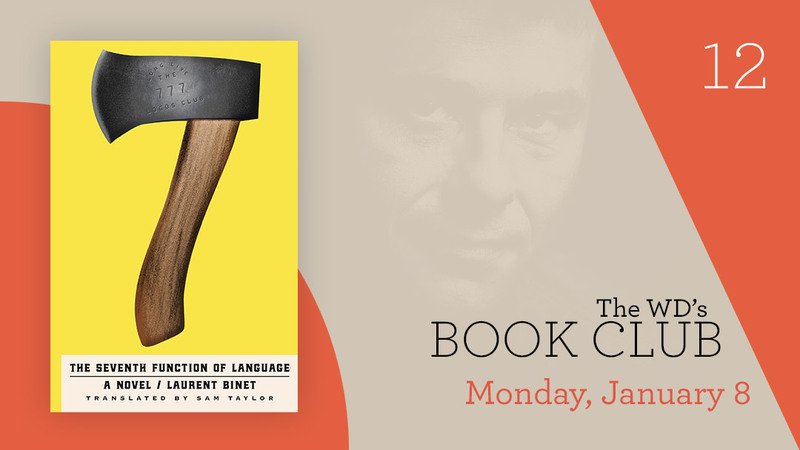 Binet has written both a send-up and a wildly exuberant celebration of the French intellectual tradition. As always, Book Club members (meaning you just show up) will enjoy a 10% discount on the next book club title and on every item they’ll ask for at the bar during the Book Club meeting. Let’s meet up and talk Literature.